The monitor also found blacks are stopped and frisked at higher rates than their representation in Seattle’s population — an area of concern that requires additional study by the police department on what is driving the disparity. In a major milestone, the federal monitor overseeing Seattle police reforms has found the department to be in compliance with court-ordered requirements regarding stops and frisks. The monitor, Merrick Bobb, also found the department to be in compliance with requirements calling for the creation of a bias-free policing policy, officer training and supervisory responsibilities. The department has now been found in initial compliance with all 10 of the monitor’s assessments of the department’s progress, including sweeping use-of-force reforms at the center of a 2012 consent decree between the city and U.S. Justice Department. As a result, the city could petition U.S. District Judge James Robart, who is presiding over the case, to find the Police Department in full compliance with all or part of the court order, although the timing could be influenced by November’s mayoral election and protracted contract issues with police unions. “We are in the process of reviewing the assessment and, as such, have no comment at this time,” the City Attorney’s Office said in a statement Monday. The mayor’s office also declined to comment on the report, which comes at delicate time as the city and Police Department deal with the highly charged fatal shooting on Sunday of an African-American mother of four by two white Seattle police officers. The report, filed Sunday evening by Bobb’s monitoring team, found Seattle police are complying with legal and policy requirements related to stops, searches and seizures. The report does not refer to the practice of stop and frisks by police in other cities like New York, which has drawn fire because officers indiscriminately stopped pedestrians without reasonable suspicion and disproportionately targeted blacks and Latinos. Officers also largely conduct frisks when they have appropriate legal justification, and “the legality of SPD’s stops and frisks do not vary by race,” the report says. Still, the monitor found blacks are stopped and frisked at higher rates than their representation in Seattle’s population — an area of concern that requires additional study by the Police Department on what is driving the disparity, the report says. Blacks make up about 7.7 percent of the city’s population. The consent decree requires the department address serious concerns about discriminatory policing cited in a 2011 Justice Department report, possibly including stopping a disproportionate number of people of color. The Justice Department cited confusion among officers about legal standards, insufficient policies and training, and inadequate data to assess whether bias was occurring. Bobb’s monitoring team reviewed a sample of 1,449 stops between July 1, 2015, and Jan. 30, 2017. His report found that in the 99 percent of so-called Terry stops — named after a 1968 U.S. Supreme Court decision — Seattle officers had reasonable suspicion the person was or would soon be engaged in criminal activity. In 97 percent of frisks conducted during Terry stops, officers had “appropriate and separate grounds” for performing a minimally invasive search for a weapon, the report found. 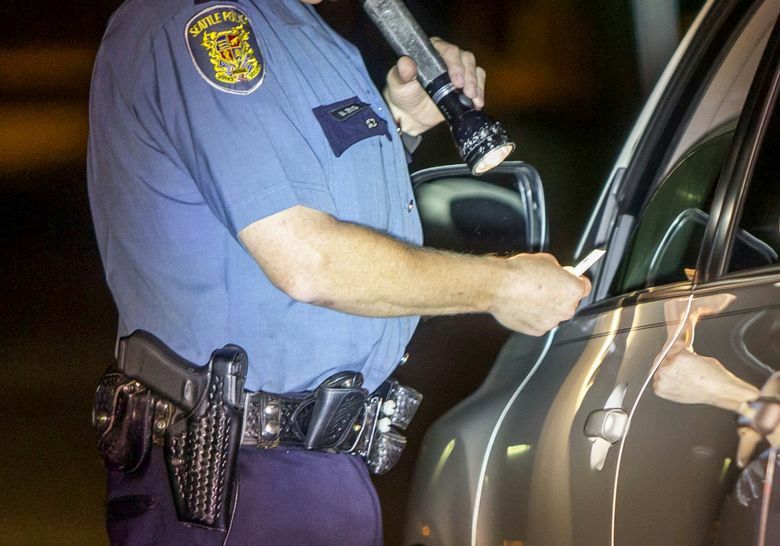 At the same time, the report found that after controlling for factors like crime and neighborhood, the likelihood a person will be stopped and, when stopped, be frisked, does vary substantially by race. Blacks were stopped at rate higher than their population share, while Asians, Hispanics and whites were stopped less often, according to the report. During stops, nonwhites and blacks specifically are more likely to be frisked than whites, the report says, even though blacks are 8.3 percent less likely to be found with a weapon than whites. Blacks are 31 percent more likely to be arrested after a stop than whites, according to the report, which found race does not influence whether a stop will result in use of force. Blacks were more likely to be subjected to legally justified frisks than whites or people of other races, but blacks are less likely to face unjustified frisks than whites, the report says. Rather, the consent decree requires, among other things, precise policies on stops and detentions; bias-free policing; and high-quality training, the report says. The department also must collect and analyze data — a key element of the consent decree it has achieved. In a statement Monday, the department said it received the report late Sunday night and was digesting the data and findings.